TAMPA, Florida, August 7, 2012 – Acoustiblok, Inc. 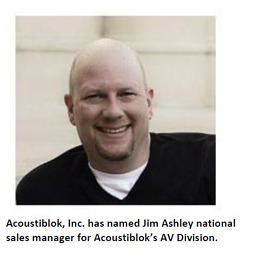 Founder and President Lahnie Johnson has named Jim Ashley national sales manager of Acoustiblok’s AV division. Ashley brings more than 27 years of experience in specialty electronics to the Acoustiblok sales team, where he will lead the department’s focus on channel integration. Prior to joining the Acoustiblok team, Ashley, spent one year as VP of sales and marketing for SoundWave Technologies in New Smyrna Beach, where he streamlined processes while implementing new profit opportunities that had been previously overlooked. From 2002 through 2010, Ashley worked for Absolute Sound in Winter Park, starting in sales and working his way up to general manager. Ashley’s daily operations included sales, merchandising, marketing, and implementing new company policies and procedures. Within a few months of taking the helm as general manager, Ashley steered the company to its highest sales volume in history. Ashley began his career in the electronics industry right out of high school. His background in drafting and architectural design, combined with his understanding of the complex process of integrating electronics and technology make Ashley a natural fit for Acoustiblok’s expanding sales team. Ashley’s command of the specialty AV industry has made him a frequently quoted expert among journalists and specialty writers for a myriad of industry trade publications. “We’re thrilled to have Jim on board, he brings a new dimension to the Acoustiblok sales team with qualities and skills we’ve been looking for in the national sales manager position,” Johnson says. “He has surpassed sales goals with every company he’s worked with, he has a broad knowledge of the specialty AV industry, and his track record could not be better.” For more information, visit the Acoustiblok website, email jashley@acoustiblok.com, or call 813.980.1400. Just one, 1/8-inch layer of Acoustiblok in a standard wall can result in more sound reduction than 12-inches of poured concrete. Environmentally friendly, Acoustiblok contains no lead, barium, or asbestos, is UV resistant and impervious to water and mold; it is UL rated and classified in the US and Canada (CUL) for virtually all wall, floor, and ceiling installations. For more information, visit www.acoustiblok.com. 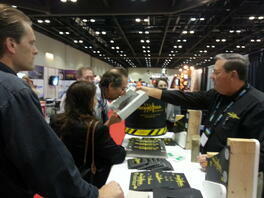 TAMPA, Fla. (USA) – Public awareness of the health risks of industry-related noise pollution has never been higher. 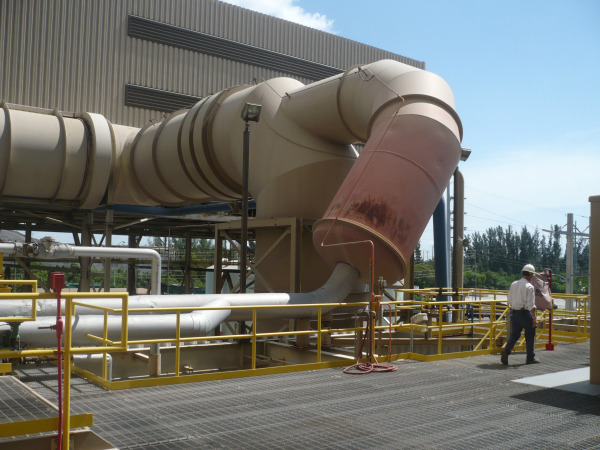 Industrial plants worldwide are incorporating serious sound abatement strategies into their infrastructure to protect employees and visitors from hearing loss and other medical issues raised by industrial noise pollution. Supervisors at the South Broward Waste to Energy (WTE) plant in Fort Lauderdale, Florida, were faced with a 30-day project to overhaul the plant’s turbine. The plant’s steam bypass system would take over the turbine’s 24-hours a day waste management responsibilities for one full month. The problem with the transition was the unbearable blare of the bypass system. The bypass channels 900 pounds per square inch of compressed steam through a 14-inch pipe into a 7-foot diameter pipe at a noise level of 126-dB. This is an unsafe level equilevent to jackhammer or jet engine launch. The noise was so deafening that even with earplugs, employees and visiting contractors could not spend more than brief periods of time in the vicinity without risking hearing damage. Verbal communication was impossible, even if they shouted, while working on or around the system. proprietary viscoelastic polymer with a Sound Transmission Classification (STC) of 26, unmatched in its versatility. Since the bypass system is composed of pipes elevated more than five stories, Acoustiblok’s ease of installation, flexibility, effectiveness, and environmentally friendly properties and made it ideal for the job. The South Broward WTE facility is owned by Wheelabrator Technologies, an OSHA recognized and award-winning clean energy facilitator. With plants across the United States, Wheelabrator prides itself on its commitment to environmental responsibility. This makes Wheelabrator a natural match for eco-friendly Acoustiblok. 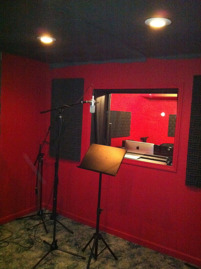 The sound proofing material contains no lead, barium, or asbestos. It is UV resistant, impervious to water and mold. Acoustiblok is UL fire rated and classified for wall, floor and ceiling installations as well as industrial applications. However, while solving the sound abatement issues, a new problem arose. The heat emitted from the compressed steam travelling through the bypass system reaches temperatures as high as 350-degrees. 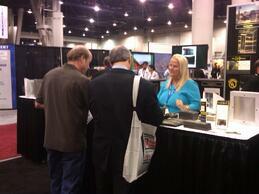 Yet Acoustiblok’s standard application range is 200-degrees before its viscosity is challenged. After conferring with Thermablok® Sales Professional Steve Hibbens, South Broward WTE Maintenance Manager Paul Benton chose to gird the system with a 5-mm layer of Thermablok insulating material before applying the Acoustiblok. Thermablok adapts aerogel technology developed by NASA to create the highest insulating material in existence. Composed almost completely of air, aerogel is known as "liquid smoke." Previously, aerogel had been difficult to adapt to most uses because of its fragility. Thermablok overcomes this by using a unique patented fiber to suspend a proprietary formula of aerogel so that it can be bent or compressed while still retaining its amazing insulation properties. Although this type of project had never been attempted before, both teams gambled successfully on the results of scientific studies performed on both Thermablok and Acoustiblok to determine the best solution to thwart the offending noise and deal with the associated heat issue. Benton said that the need for noise abatement at the plant had been brewing for some time before the turbine overhaul created the incentive he needed to take action. One contractor found the extreme, unrelenting howl of the bypass system so difficult to work with, he began to dramatically hike the cost for his crews to work on site. The massive pipes were enveloped first in 1,280 square feet of Thermablok High Temp, then in 1,575 square feet of Acoustiblok by a four-man crew from Coastal Insulation in Pompano Beach, FL. Steve Sill, vice president of Coastal Insulation, said the job, which took three weeks to complete, was imposing only because of the sheer size of the system. “It was challenging in that we were working off lifts higher than five stories,” he said. “But we were surprised how easy the material was to install, and how well it worked. whereas before you couldn’t be heard if you screamed. For crews to work under such conditions is actually painful at such a noise level, and studies confirm the adverse health effects of industrial noise pollution on workers in such an environment. 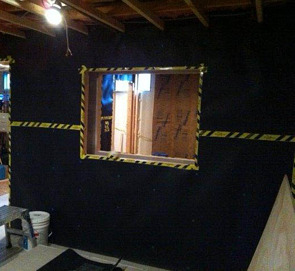 Benton, too, was amazed at the results of the black Acoustiblok material seamed with black and yellow Acoustigrip permanent bonding tape, which far surpassed his expectations. “We wouldn’t have cared if it was magenta with white polka dots, we would use it again, we were so happy with the results,” Benton said. 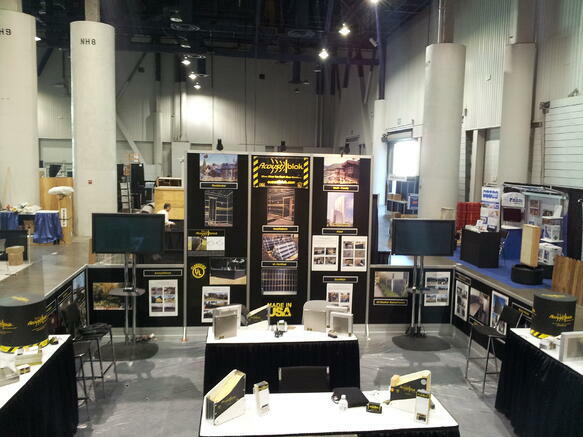 For more information, call Acoustiblok at 813.980.1400, visit our website at www.acoustiblok.com, or e-mail us at sales@acoustiblok.com.